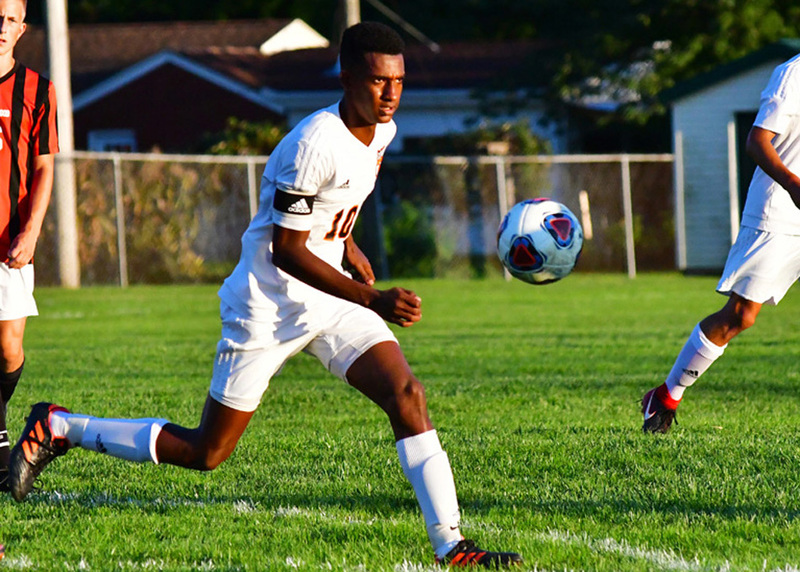 INDIANAPOLIS – Warsaw defender Tedros Berelsman continued to receive recognition for a great soccer season with an Honorable Mention All-State nod from the Indiana Soccer Coaches Association this past week. The junior rock for the Tiger defense helped the squad to a 9-3-6 season mark and a runner-up 4-0-3 record in the Northern Lakes Conference. Berelsman had an assist and 44 steals on the campaign, converted a penalty try, but was more in tune with the rock solid Tiger defense that shut out six opponents, and Warsaw went 5-1-4 in its final 10 contests, ending with a tough 1-0 loss in the sectional to Fort Wayne Wayne. Warsaw didn’t allow an opponent to score more than two goals in any contest this season. Other area boys on the All-State list included Northridge’s Micah Cross, Bethany Christian’s Cedric Brenneman and Elkhart Memorial’s Brandon Vargas on the First Team, Concord’s Landon Fisher on the Second Team, Goshen’s Ciro Aguilar and Northridge’s Jonathan Mora on the Third Team, and Penn’s Dorian Clayton on the Honorable Mention. Jack Eaton of Chesterton was named Player of the Year and Fort Wayne Canterbury’s Greg Mauch was the Coach of the Year. Area girls on the All-State list included Penn’s Maya Lacognato on the First Team, Northridge’s Ariana Stoltzfus and Penn’s Kelsi Caricco on the Second Team, and Northridge’s Hope Stacker and Sage Schnell on the Honorable Mention.